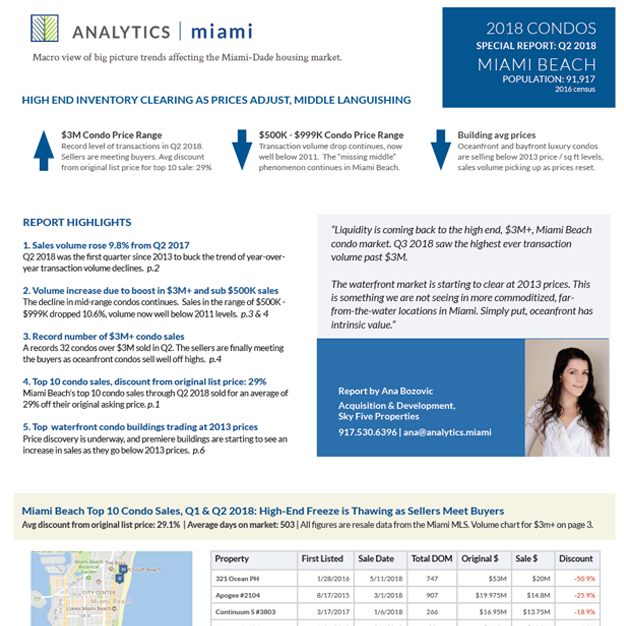 Top 10 Miami Beach Condo Sales, through Q2 2018 - hedge fund buying continues! Miami Beach High-End Freeze is Thawing as Sellers Meet Buyers. Q2 2018 saw record transaction volume for condos past $3M, as buyers found deals well below original asking prices. All figures are resale data from the Miami MLS. 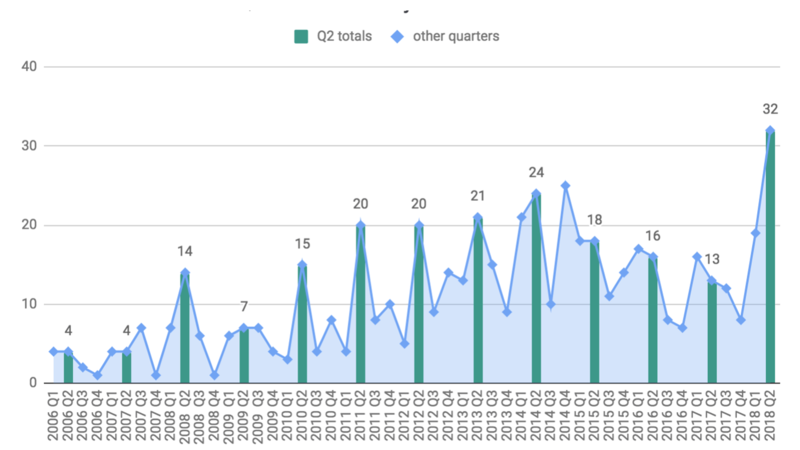 Record $3M+ sales in Q2 2018. $3M+ transaction volume spiked in Q2 2018 as sellers started to meet buyers. The high end, waterfront condo market is starting to clear at around 2013 prices. 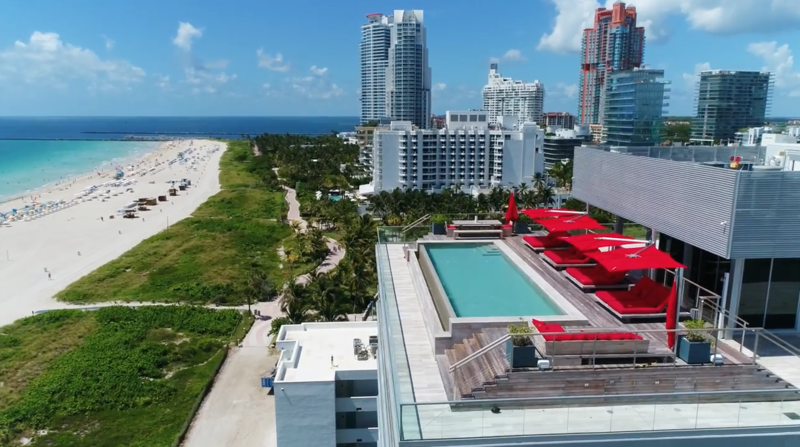 In June, a former CEO of Saks sold his Faena condo for less than half of the original asking price. Stephen Sadove purchased the condo from the developer in 2015 for $8.1M. He tried to flip it for $14.5M. The property sold for $7.9M, at just about $1,900 / square foot. 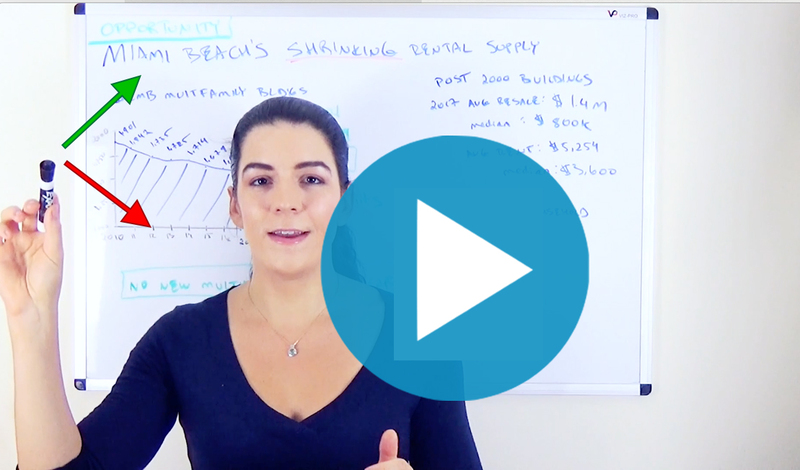 There is a bit of a myth that Miami Beach can support $3,000+ SF pricing, and that myth lead to some unrealistic pricing and and a steep drop in transaction volume. I am happy to report that as sellers become more realistic, sales volume is picking up. Q2 2018 saw the most ever $3M+ condo transactions in Miami Beach. Oceanfront has intrinsic value, and we starting to see the market clear at 2013 prices. The penthouse at 321 Ocean Drive was purchased by Cliff Asness, the billionaire hedge fund manager who founded AQR Capital Management. 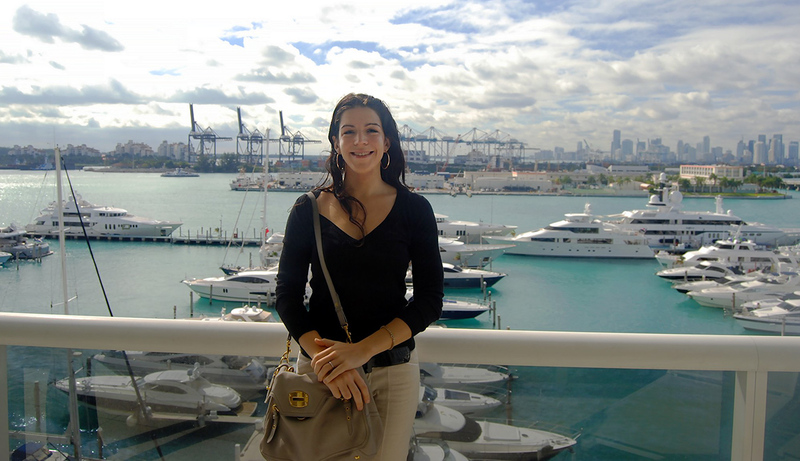 There has been a steady stream of high profile finance industry figures purchasing residential property in Miami. Prior to Mr. Asness' purchase, David Tepper made Miami Beach his home and Mark Spitznagel moved his fund from California to Coconut Grove. 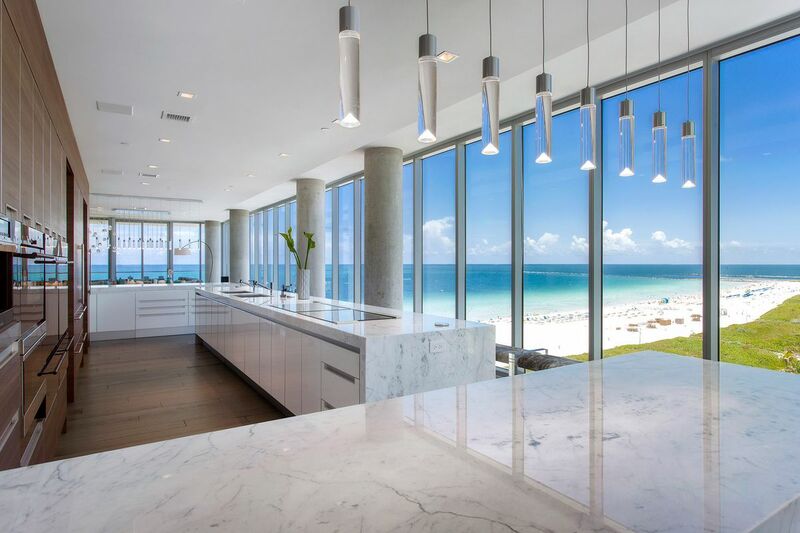 321 Ocean Drive Penthouse | Purchased in Q2 2018, $26M, by Cliff Assness of AQR Capital Management. Contact me directly for opportunities in Miami real estate. The supply of Miami Beach multi family properties has declined by over 15% since 2010, while demand is increasing. 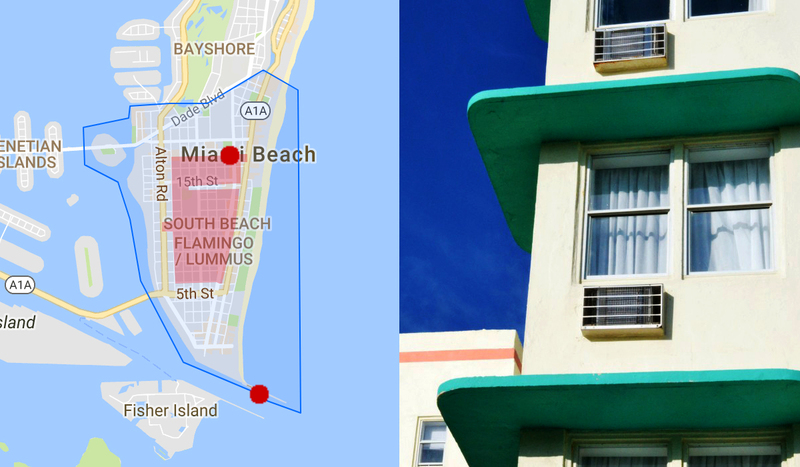 Spotlight on North Beach: the neighborhood is in early sages of revitalization. Real estate opportunity: take advantage of under-supply in Miami multi family + neighborhood upside. The early 2000s Miami boom was fueled by liar loans, but this cycle was fueled by the cash buyer. Miami Beach condo transactions have declined sharply for 4 straight years. 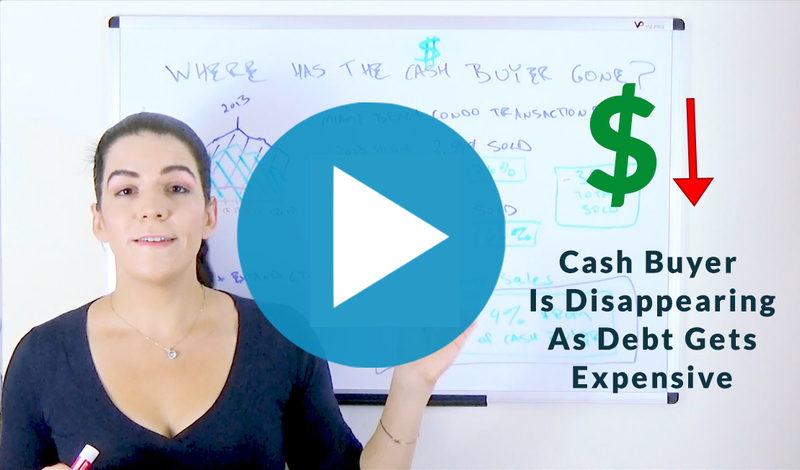 91% of the decline is due to the disappearance of the cash buyer from the Miami real estate market. Meanwhile, debt is getting more expensive.